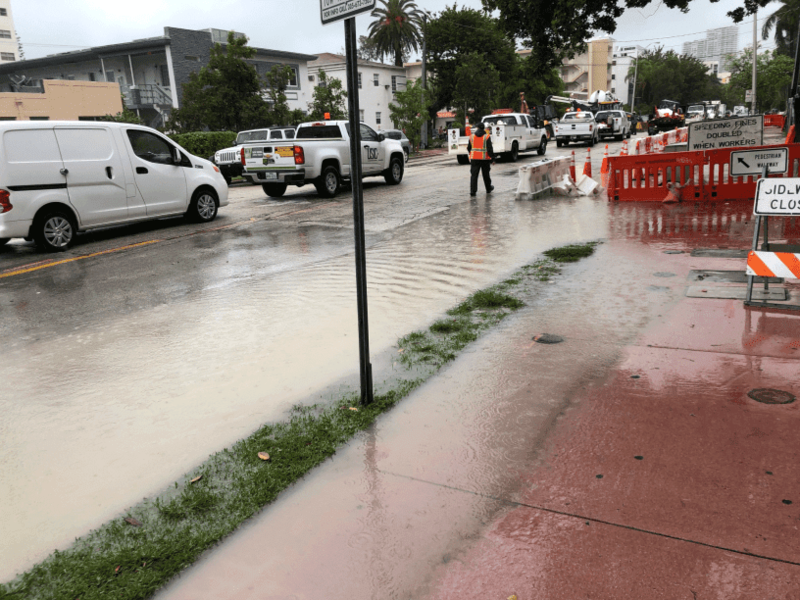 Given the data on sea level rise and the peculiar geography of the Miami area, it appears destined to become the next New Orleans - or simply disappear beneath the tropical blue seas. But that has not stopped a massive construction boom nor the influx of new residents who have made Florida the third largest state by population, surpassing New York. "Sunny day flooding” is flooding where water comes right up from the ground, hence the name, and yes, it can certainly rain during sunny day flooding, and yes, that makes it worse. Sunny day flooding happens in many parts of Miami, but it is especially bad in Sunset Harbour, the low-lying area on Miami Beach’s west side.